Hello all! Today is my day to post on the SVG Attic blog. 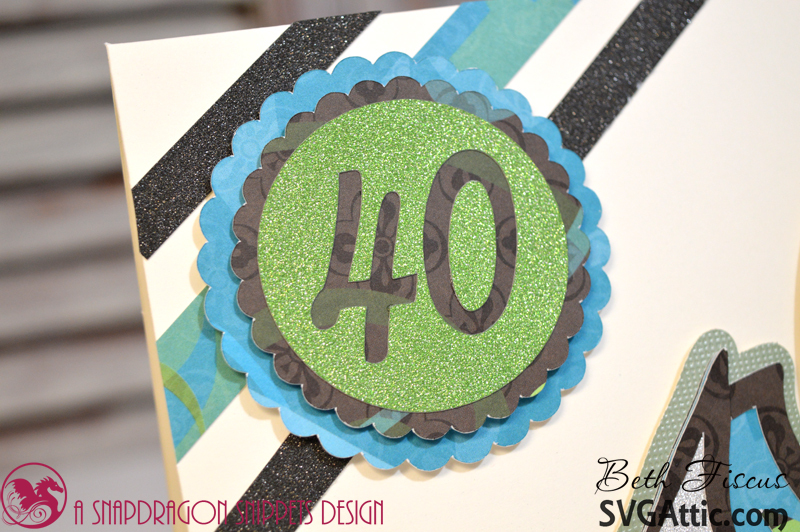 Today I am sharing a 40th birthday card. This started out with the shaped princess slipper ribbon card from JGW Off To The Ball, but since I wanted to have a larger card, I didn't use the layer to make the shaped card base. I simply glued it to a 5x7 card base. The papers I used are from DCWV's All Dressed Up, Glitzy Glitter, and Metallic stacks. The ribbon is crinkled seam binding. I used the nested scalloped circle cuts from SDS Fun In The Sun and added a 40 in my cutting software to the top circle. Those layers were popped up with foam tape. Fabulous & Fun! Love the pretty bow and shoe!! I like how you change it around to suit your needs . This card is just so fun . Gorgeous card! 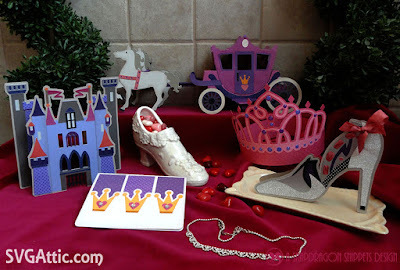 I love the pretty papers you used and that shoe is beautiful! I'm pretty sure I have that stack in my stash somewhere, lol!